Today my sons and I watched the Disney classic, ‘Cinderella’. Cinderella was a favourite mine as a little girl – I was definitely a Disney girl – and it’s lovely to share these movies with my own children. Obviously the Disney version of the story is different to the original, recorded by the brother’s Grimm. In the original story the stepmother and her two daughters are forced to dance to their death in iron shoes…yikes! Revenge isn’t something I would encourage my children to embrace. But today, watching the far more sugary Disney version, I was also forced to wonder whether the ideas and values playing out on the screen were ones I wanted my children to subscribe to. Now, maybe I’m over thinking. People have accused me of that before. And I certainly wouldn’t scratch Cinderella or her ilk from my watch list. But, as a mother and a writer, I’m aware that children’s books and movies all have a message within them – intentionally or not. They have to, because their audience is highly impressionable. 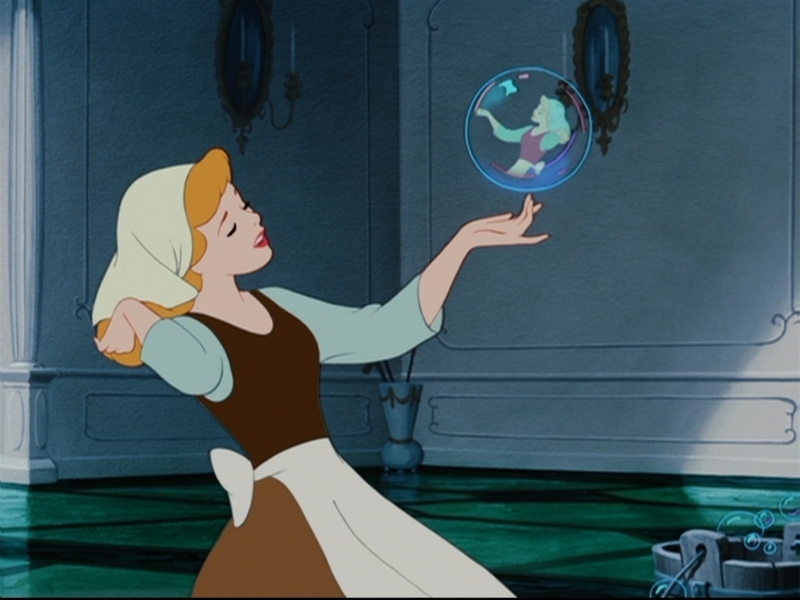 Cinderella claimed that all you needed was belief in your dream and, eventually, that dream would come true. She didn’t pack up her bags and creep out of the house in the dead of night. She didn’t go to the ball dressed in her tattered clothes and take the risk that the prince might fall in love with her regardless. She didn’t start-up her own cleaning business, make her fortune, and buy the chalet next door (ok, I know they didn’t have cleaning businesses back then). She did as she was told, she hoped and dreamed and relied on fate and luck to change her life. I’m all for dreams and hope and faith. These are some of the most precious of all human emotions and they are certainly ones I would want my children to experience. But, in my experience, dreams also require hard work and perseverance and commitment to come true. I’ll just be backing it up by showing my kids that they have to bring other things to the table too. What do you think? Am I over thinking things? Hollywood is remaking one of our best loved films. And we’re terrified. | Mamamia. My all time favourite book is Little Woman. I read it has a child, then as a teenager and again as an adult. Each time I have found different nuances that I didn’t see before, each time it has reflected things that I am experiencing in my life. An each time I’ve seen it on the screen I’m deeply disappointed. I don’t think a movie can ever truly portray the depth of character and feeling that a book does. Even Lord of the Rings, which let’s face it was epically long over three movies, skimmed over certain bits and failed to express the depth of Froddo’s burden (I’ll admit it, by the end of the movie I wanted Sam to push him into the fire. I didn’t feel that way by the end of the book). So, will I be watching the next remake of Little Woman? Probably not, but if it introduces another generation to the wonderful March sisters and their journey to adulthood then I can’t be against it either. How do you feel about the book to movie thing? When has it worked and when as it failed?